Spirit Shepherds is located in Avon, a small town in upstate New York. 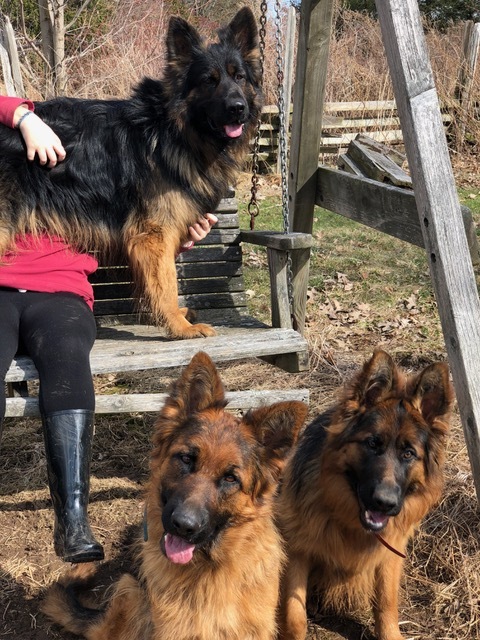 I began breeding and training standard coat German Shepherds 30+ years ago and now specialize in breeding Long Coat German Shepherds (sometimes called Long Hair GSDs) with soft temperaments, supreme trainability, and unparalleled devotion to their family. 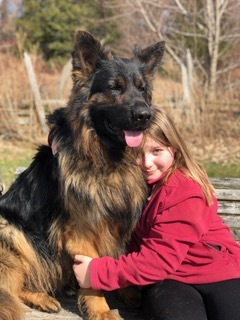 These dogs are ideally suited for therapy work, SAR, any and all obedience training, agility or as a devoted companion and member of the family. All of the dogs we breed have been with us since the age of 8 weeks so that we can thoroughly evaluate their temperaments, disposition, character and physical attributes on a daily basis. After whelping and throughout the first 8 weeks here, the pups are handled daily with love and attention to ensure early and proper socialization . When you bring your puppy home everyone in the family absolutely must continue this positive socialization process as there is only a short window of opportunity between 8 and 14-16 weeks old when this socialization is most efficient and long lasting. With early socialization, training and proper exercise your Long Coat German Shepherd puppy will form a close bond with its human “pack”, ready for any fun and games you choose, but also content to lie at your feet for some quiet time. 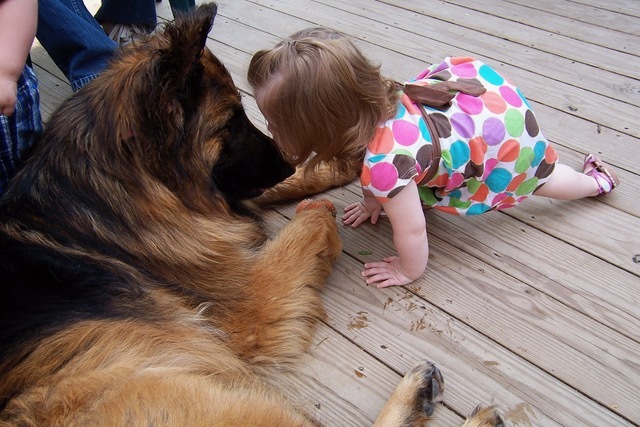 The very best way to make a decision on purchasing a Long Coat German Shepherd (or any breed of dog) is to meet the parents first, if at all possible, so that you will have a better understanding of what your puppy will mature into. We welcome and encourage you to visit our kennel before deciding on a puppy . on planned litters and new photos. transporting dogs to our Canadian breeder.